We completed these cooling tower repairs at a hospital in Winston Salem, NC. This cooling tower was in rough shape when we found it. The sidewalls were rusting allowing fill media to collapse a little. 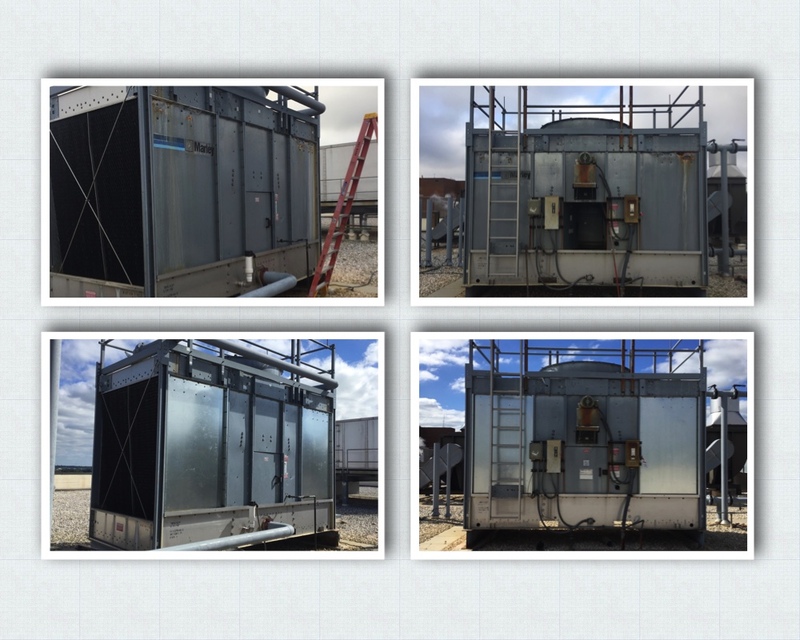 We were able to savage the existing fill media and put 4 new G235 galvanized steel side walls on to transform this cooling tower.